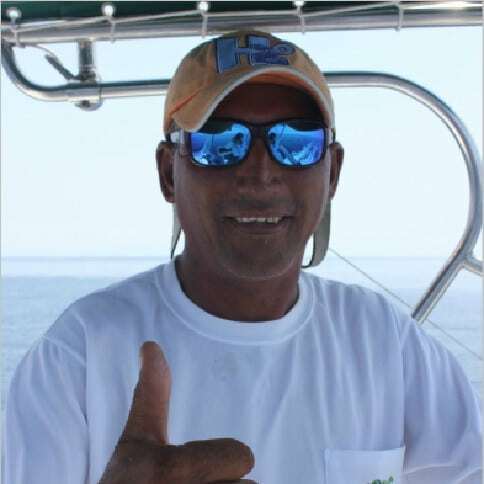 The Tale of Shared Fishing Charters Costa Rica, or Why Can’t I Find One? You would like to book a day charter and share the cost with some other people? Seems like a no-brainer. You’ve done it so many times before, Florida, Mexico, Carolinas… you name it. You just stroll down the dock in the late afternoon, check out the catch reports for the day and make a deal with a captain with one-two open spots for tomorrow. Easy. Well... As you may have noticed, Costa Rica is a bit more complicated than that. Unless you are already on an approved list to get on a boat that day, you won’t have access to the marina itself. This is the easiest way for the authorities to battle trespassing and safety. So, no you can’t just take a look at the daily catch each boat had and sign up for a trip tomorrow. Yes, some people have ruined it for all of us. If we all can’t play nice, no one gets to play. Wait… There’s no marina at all? Yup. Some popular fishing areas don’t have marinas. This is Central America after all, we do our best with what we have. Seas in Costa Rica are calm, building marinas expensive, getting permits near impossible. Meaning, having boats anchored just off the shore is pretty common. Even when there is a marina, a lot of boats that are available for rent are not moored there. You simply can’t rely on ‘I’ll just walk the dock’ method in Costa Rica. But say you somehow acquire an open spot with another 6 or 9 fishermen. Score! You’re ready to rock and roll. Anyways… now that you’re all aboard and just waiting for some action, can we agree on who’s going first? Yes, Captain’s not going to pick sides here. There are times when more than one fish is biting, but most of the time…. It’s you waiting for your turn. What happens if you paid the same price as everybody else, got the last spot and didn’t even get to try catching anything? You got yourself an (expensive) boat ride, that’s what. Sea Sickness. Wha? How did this person even think of getting on a boat, and didn’t know if they’d get seasick. That conversation can turn ugly, and gets the crew in the tough spot, with one half of the party demanding to return to port while the other who has paid equally wants to stay and fish. 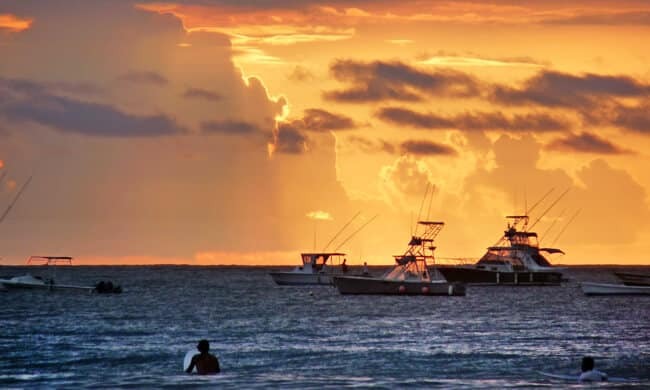 The most reputable captains in each fishing area avoid booking shared charters, as they don’t want to be the middleman and mediate any potential issues that can arise between different parties. With that said, everything can go swell and you can even end up meeting a great new buddy or group, that become your friends. Still, more often than not, different issues arise. Like, guys with non-matching personalities that can sour the trip for everyone on the boat. And the space on the boat can quickly become very tight when such a situation occurs. Not a pleasant experience for anyone involved. OK, hold on. This was supposed to be FUN! Yes, it is! Most of the time. Just a bit of Russian roulette, you know… the other times. These are just a couple of examples why no one is jumping on the opportunity and offering shared charters per se. Too many headaches, with fleeting rewards. The most obvious one. Since you can share the charter cost over multiple paying parties, the cost per person is much less. This is always fun when it happens, especially when folks genuinely carry the same vibe. Enjoy it! 3. Get help if the fishing is really good! 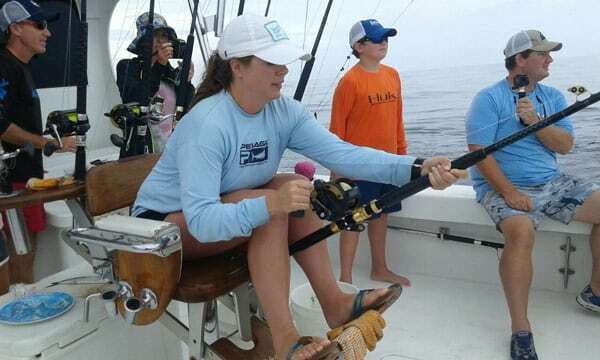 Getting tired out there on the water, as the fish is wearing you out? Well, spread the love! Have a fellow help you out and you may get some piece of action too, when it’s their turn and the bite is crazy good. Beyond the shared charter concept, lies the most common type of fishing charter in Costa Rica. The private fishing charter. 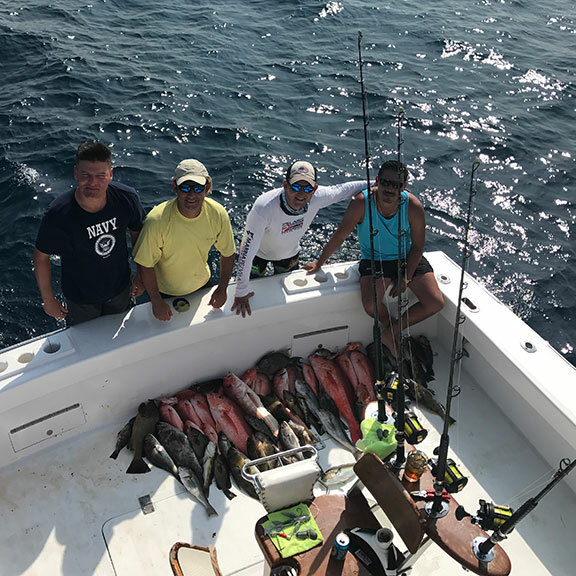 And due to the reasons explained above, it is much more common to find private fishing charters in Costa Rica, then the shared charter concept. Obviously, the price is not what you can call budget-friendly. 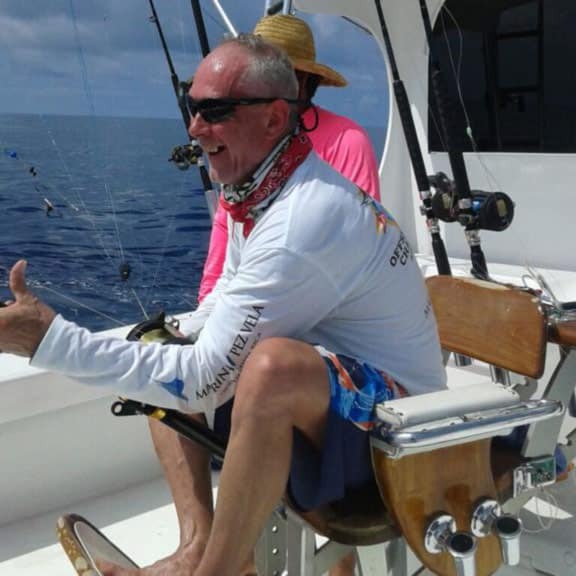 Still, there are multiple PROs to a private fishing charter, too. And at the end of your fishing trip, you will feel that it was worth it, EVERY PENNY SPENT. 1. Sir, what would you like to fish for? The crew is dedicated to your goals and your goals only. No sharing or taking turns. This trip is all about you and your group. Got tired of fighting the marlin, and just want to get some fish meat for dinner? You can switch things up during your trip based on what you feel like fishing for. Don’t feel like getting up so early after the last night shenanigans? You’re calling the shots here, so can leave earlier, later or come back earlier or later depending on how you feel that day. The best charter captains in Costa Rica have a strong following and book up months in advance. They rarely ever offer shared charters, since they are so good, that clients will book them exclusively so the captain can do what he does best! Put you on the fish. 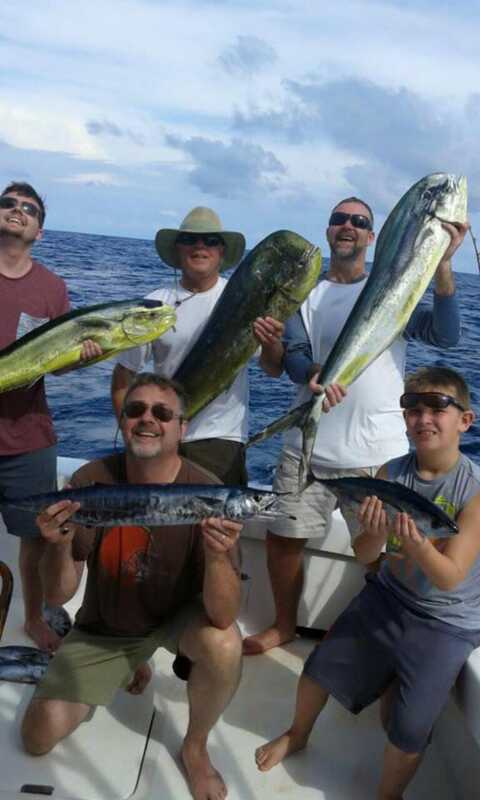 In the end, the fishing charter that is right for you depends on your end goal while fishing and the overall budget you are willing to spend. As with most things in this world, the greater the reward, the greater the cost. However, even a shared charter can be a ton of fun and if you are just looking to enjoy a day on the water, a private trip or shared trip is a great way to do that. 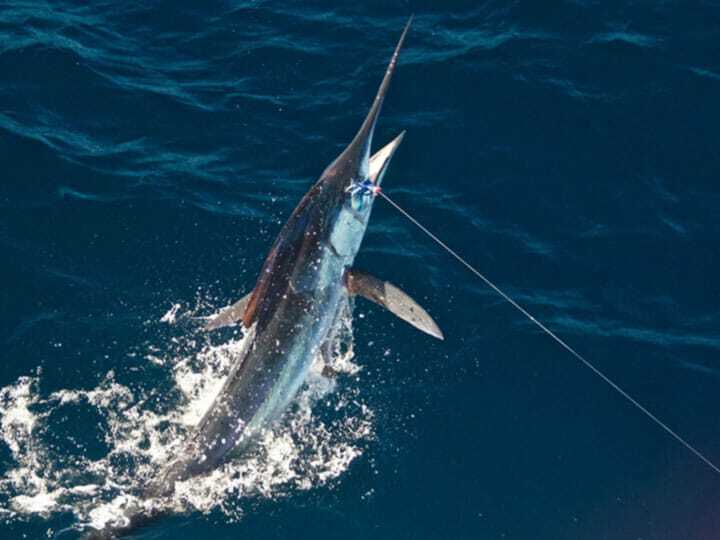 Contact us to get a quote for your offshore fishing trip in Costa Rica. As long as the lines are tight!